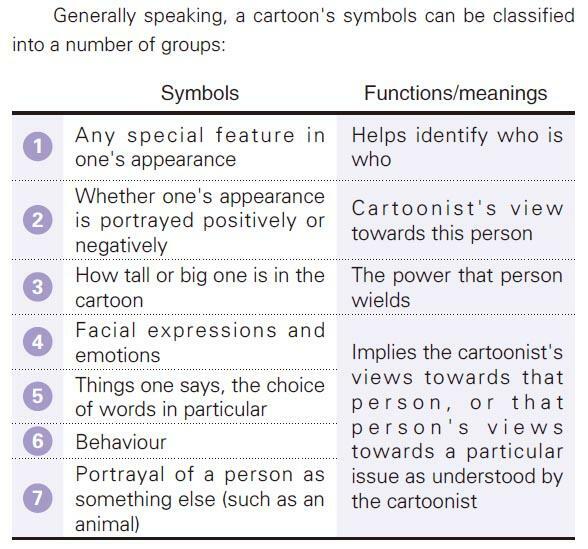 【明報專訊】Cartoons are common in liberal studies examination questions. They represent a cartoonist's views towards a phenomenon, such as a hotly-debated social issue, a trend or a particular person or body (such as a government department, public body, political party and specific politicians). A cartoonist might express their dissatisfaction about something in an ironic way. Unlike writers of an article, a cartoonist does not tell readers what they think directly. Instead, they express their views through all sorts of "symbols".